YOU CAN SHARPEN YOUR KNIVES WITH A CERAMIC BOWL. RUB THE BLA - ProudMummy.com the Web's Community for Mums. YOU CAN SHARPEN YOUR KNIVES WITH A CERAMIC BOWL. 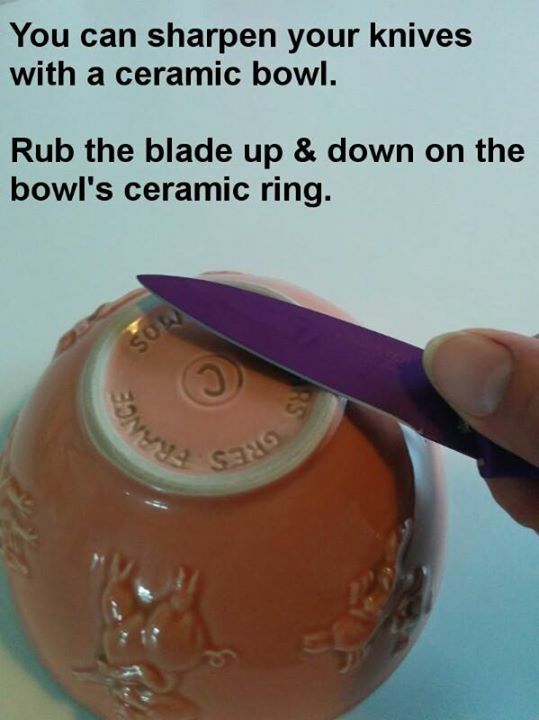 RUB THE BLADE UP & DOWN ON THE BOWL'S CERAMIC RING.